What is your daily routine. Do you share the bathroom with a spouse or kids? How can a redesign ensure everyone has access, hot water and plenty of room at the sink? Size and space. 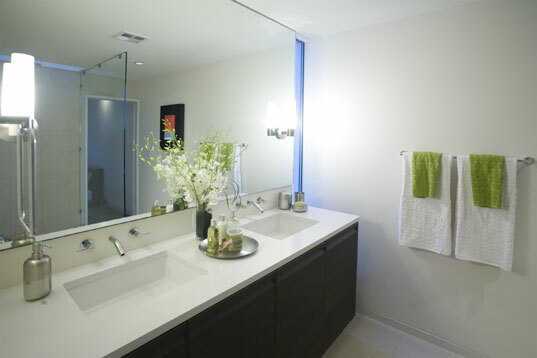 Do you want a larger bathroom, or are you willing to settle for redoing what you have? Storage. Will you need more or less storage? Lighting. If you ever wanted a skylight or large windows in your bathroom, now’s the time to think about what kind and where. Budget. Be realistic. What can you afford? Toilet or toilet and urinal. Believe it or not, in mostly male households urinals are becoming commonplace fixtures. Homeowners and even home stores use the words “Remodel” and “Renovate” interchangeably, but there is a big difference. Just ask your contractor. “Remodelling” means significantly altering the structure of the room. You may move the toilet to the opposite side of the room, replace the old sink and vanity with a new one, and maybe put in a skylight and floor-to-ceiling glass shower where the old linen closet used to be. Remodelling is significantly more costly. It also takes longer, often weeks or a month or more. “Renovate” means to “make new again.” If you’re talking to a plumber or builder this means you may want to repaint a room or rooms; reface cabinets, install new light fixtures, or add new finishes and fixtures. Your bathroom, for instance, isn’t radically altered, but the colour, fixtures, and other items are upgraded. The sink, toilet, tub, and shower stay in the same place, but they may get new fixtures, or you may add tile around the room, paint and maybe refinish the tub, or replace the toilet with a newer model. Many homeowners can renovate a bathroom over a weekend or two. A new style of toilet (wall hung or tankless) or even a new colour of toile can make the room seem different. Install different sink fixtures and maybe even a different sink. Refinishing an existing tub and adding glass doors instead of using shower curtains, or vice versa. Add mirrors and lighting to increase the visual size of the room. Most homeowners look at the cost of new fixtures, toilets, and bathroom accessories and opt for the cheaper items, like a £50 sink versus a £200 one. But it’s not the fixtures that kill your budget. It’s the labor. It doesn’t cost a plumber anymore money to install a cheap toilet versus an expensive one. His labor rate stays the same no matter what he’s doing. Spend wisely and consider not increasing your labor costs versus buying cheaper fixtures. For instance, if your plumber simply has to replace a toilet his labor rate is going to be much lower than if he has to move the plumbing and toilet to the other side of the room. That’s a one-to-two hour job versus a 30-to-40 hour job. Choosing a different kind of sink and vanity to make the room look larger without having to move the sink to a different wall. Choosing a wall hung toilet instead of moving the toilet to the other side of the room. Considering a bath and shower combination instead of creating a separate shower and bath. Shelving over a doorway can give you three to twelve square feet of added storage. Increase storage by using a tip-out sink kit to create a drawer in front of your existing vanity. Use bathroom cabinets and medicine chests that sit flush with walls by being mounted inside stud walls. Consider furniture, like cabinets, baskets, and wall chests that can be moved if needed. What, if any permits will be needed and what they will cost. What inspections will be needed? Will you need electrical, plumbing and gas inspections? At what point will they be needed and will other work be delayed until they’re approved? What new codes will you be required to meet? What should our contingency budget be? What things might or could go wrong? If it’s a bathroom in need of a remodel, we could find a lot. Be prepared. If you don’t need the contingency budget then once your bathroom renovation or remodel is done you can use it to pay the loan, or put it aside for your next project. Either way, don’t get caught short-handed and strapped for cash halfway through your new construction. That’s about it. The most important thing you should take away from this article is how important it is to plan and be prepared mentally and financially for your new space. As much as you might want to start immediately, take the time to plan. If you’re not sure how to plan, or don’t know what you don’t know, contact us at Horsham Services. We give you free estimates and bring our experience and design skills to your unique space. Moving is not always a good option for the average homeowner. It’s expensive, time consuming and once you’ve moved, you have nothing to show for it other than a new mortgage. If you want a new, or like new home, consider installing a loft conversion or an extension instead of shopping for a new home. The average homeowner can increase their home’s value by up to 20% with a loft or extension. That’s more value than adding a bedroom (11% added value) or a bathroom (5% added value). Depending on the home, and the cost of the conversion or extension, you can also totally change the layout and personality of your existing home. Increases your home value more than any other feature (20% added value). You don’t have to go through the expense and hassles of selling your existing home and finding a new one — with all its maintenance and improvement issues. You get all the advantages of gaining a bigger property and more living space without all the stress and costs of having to move to a new home. Increases your storage as well as living space. Can improve the layout and functionality of your existing home. Can create a new look, better living vibration, and personality in older, closed homes. Can open up a closed-in layout, or close up an open layout. Personalises your lifestyle by adapting your living space to your living preferences. Up to 30% of a home’s potential living space is in the attic, and is typically unused, except for storage. 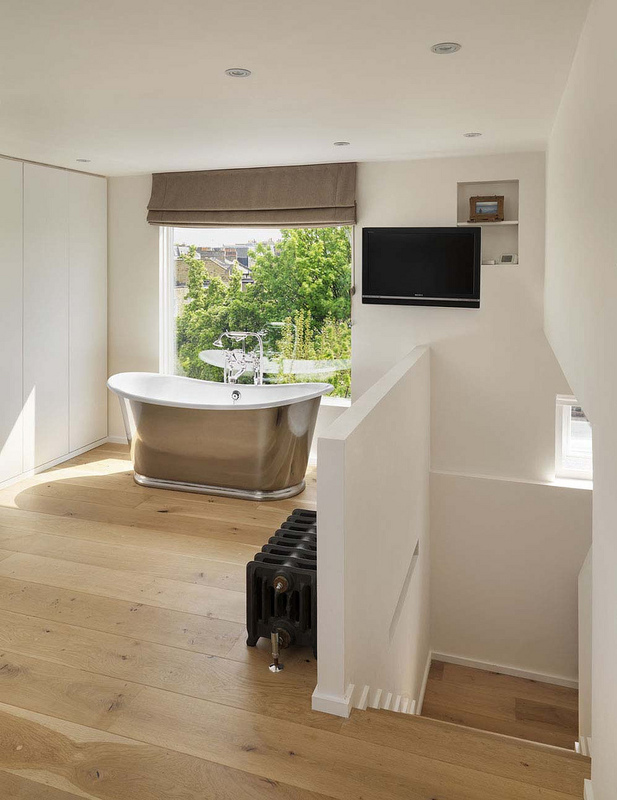 A loft conversion can open up this space, allowing you to create a guest room, home office, or gym. Extensions and loft conversions are excellent returns on your investment. You may spend £15,000 to £75,000 to create the loft conversion or extension of your dreams, but you’ll recoup your investment and earn a profit, both when you move into the finished space, and later when you sell your home. 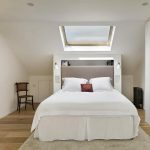 What is a loft conversion? Conversions are the process of transforming an empty loft or attic space into functional living space. That space can be a home office, a gym, a living area, guest bedroom or even a “man cave” or playroom. A loft conversion can also mean transforming commercial space, like a manufacturing facility, church, water tower or warehouse, into living quarters. You don’t have to go house hunting and incur yet another mortgage. You don’t have to pack up and move your entire house. You get to stay in a neighborhood and area you love. Your kids won’t have to change schools, and you won’t have to change your lifestyle. Unlike buying what a seller is offering, you get to decide where to extend your house based on your lifestyle and needs. You can extend up, down, out the front, out the back or the side of your home. Two words — “outdoor kitchen.” Yes, your extension can be an outdoor kitchen or recreation area to complement your backyard or lifestyle. You can add on an extension, or extend an existing room — such as a kitchen, dining or family room. The end product meets your space and lifestyle needs exactly. Added electric outlets, lighting and heating ducts. Floor reinforcement or installation such as extending your floor space (where there is a high ceiling you can convert unused space into a small home office for instance.). If you have the budget and the vision, you can expand your conversion or extension anyway you like! The sky (and the budget), are the only limits. Open up a space with natural light. Increase the headspace in an area where you normally wouldn’t be able to even stand up. Give you options for changing, moving or installing staircases. Be installed at the ends or sides of your house. 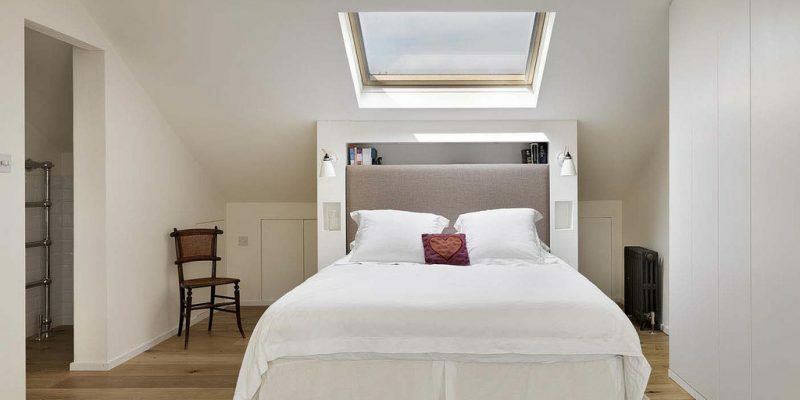 Of course there are more than just ten advantages to a loft conversion or extension. If you sit down and think about all the ways you can use an added 100 to 1,000 (or more) square feet in your current home, you’ll start to see them. They almost always involve an increased quality of life for you and your family. If you want to know more about the process, or get a free quote, contact us.